The Informal Merger Review Process Guidelines 2013 supplement the Merger Guidelines 2008 by providing a reliable, comprehensive and detailed guide to merger parties, the business community, their advisers and the public that they can draw on to predict the processes that will be applied by the ACCC to merger reviews. 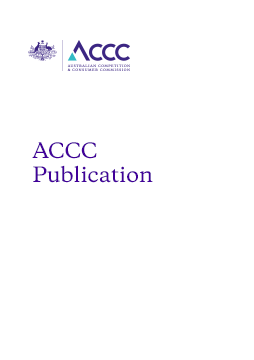 It reflects the ACCC's commitment to the timely, consistent and transparent assessment of mergers while preserving the benefits of the informal system that has evolved over the years. These guidelines were amended in November 2017 to reflect the Harper reforms to the Competition and Consumer Act 2010.